Imagine a drink..A drink for all of the aspects of your daily life. A drink that amplifies your senses and reactions for ordinary tasks. Well now you can..I’m sure some of you have tried this before since it’s been out for quite sometime…It’s NEURO!! 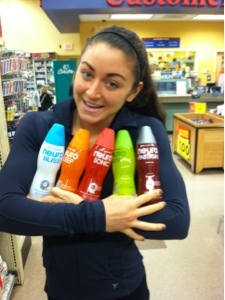 Neuro drinks are absolutely amazing!! Neuro is offered in 8 different concepts, depending on your mood or desire. Each Nuero contains the right vitamins and minerals most beneficial for the concept or task at hand. It’s only 35 calories for the bottle, contains a hint of light carbonation, and has no artificial flavors.